Rooftop solar photovoltaic (PV) systems convert energy from the sun into electricity you can use in your property. Any electricity you don't use gets fed into the main electricity grid. Large-scale batteries can be connected to solar PV systems to store energy generated during the day. This energy can be used at night or in poor weather when the system isn't generating much energy. Using the electricity generated by a solar PV system during daytime hours means you don't need to buy as much electricity from the grid, which can help lower your electricity bills. Where possible, align your electricity consumption, like running clothes washers, dishwashers, or heating and cooling, to times when your solar generation is highest, rather than running them at night when you have to buy electricity from the grid. From October 2018, 40,000 South Australian households can access $100 million in State Government subsidies and $100 million in loans to pay for the installation of home battery systems. The subsidy is available to all South Australians, however, Energy Concession Holders are eligible to access a higher subsidy, ensuring low-income households are supported to access the Scheme. 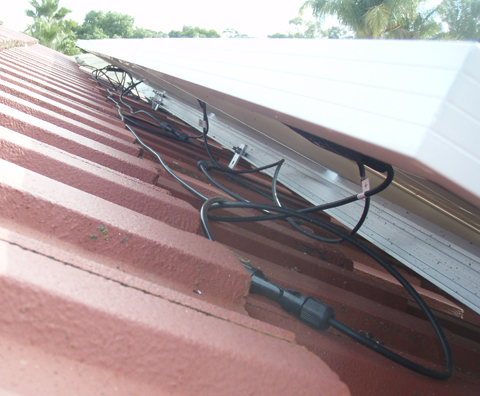 While the subsidy is applied to the battery component only, participating households can apply for finance available through the Commonwealth Government’s Clean Energy Finance Corporation, to help pay for the balance of the battery and to purchase new or additional solar panels if required. The subsidy is calculated on the kilowatt hour capacity of the battery being installed. The subsidy will vary depending on the size of the system but is capped at $6,000 per battery installed. A set of minimum technical requirements for battery systems has been developed to ensure the batteries are safe, reliable and capable of being linked into a virtual power plant. The ability to aggregate home battery systems - either now or at a future point in time - creates opportunities to address network issues and smooth loads by balancing out peak power demands. Households are able to choose whether or not their home battery system operates as part of a virtual power plant. The state government has unveiled a plan to roll out a network of at least 50,000 home solar and battery systems across South Australia, working together to form the world's largest Virtual Power Plant. Beginning with a trial of 1,100 Housing Trust properties, a 5 kW solar panel system and 13.5 kWh Tesla Powerwall 2 battery will be installed at no charge to the household and financed through the sale of electricity. Following the trial, which has now commenced, systems are set to be installed at a further 24,000 Housing Trust properties, and then a similar deal offered to all South Australian households, with a plan for at least 50,000 households to participate over the next four years. For more information about the Virtual Power Plant and to also register your interest, please visit: www.virtualpowerplant.sa.gov.au. the direction and orientation of panels. To work out what solution is best for you, speak with a reputable solar or battery installation company that uses installers accredited by the Clean Energy Council. 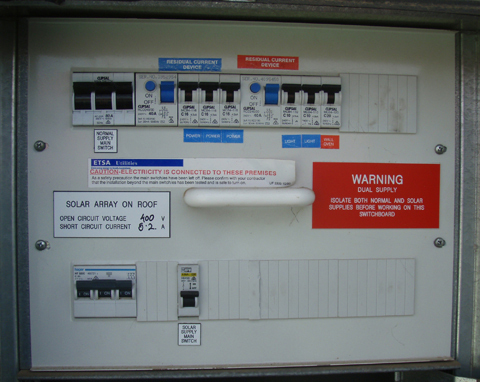 The person installing a solar PV system or battery must be a licensed electrician. Check if your electrician is licensed in South Australia by searching the licensing public register. the Australian Government's YourHome website provides information about photovoltaic systems and batteries and inverters, including the different types, and installing and positioning solar panels. the Clean Energy Council produces guides for choosing, buying and installing solar PV systems for households and business and industry. Understanding your home energy use can help you calculate the effect of a solar PV system on your energy bills, and help you work out if battery storage is an economical choice for you. Make sure there's no shade on the panels. Even shade from things like trees, roof ventilators or antennas on just one cell will result in a loss of power from many cells. This will have a large impact on the output of a panel, due to changes in the flow of electricity through the panel. To produce the most electricity, the panels should face north or, if that’s not possible, be spread over both east and west areas. Batteries need a location or enclosure that has adequate insulation and plenty of ventilation. 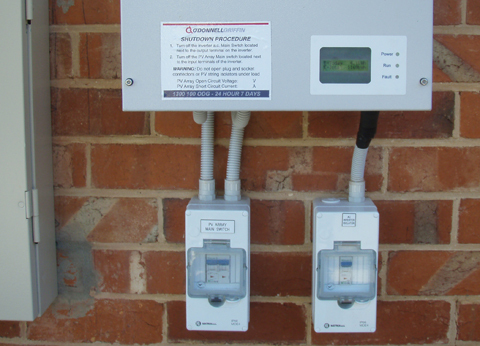 In Australia, a battery enclosure should ideally be located on the south or east-facing side of a building. Do not install batteries in living areas of a property. Outside is safest, but some batteries can be installed in areas like sheds, garages, cellars or laundries. Protect the battery and its enclosure from vermin, pets and children. Never store anything on top of or against the battery or its enclosure, as it may cause an electrical fire. Your solar installer will usually organise permission to connect your solar PV system to the electricity grid and a new import/export electricity meter, on your behalf. For permission to connect to the grid, your installer needs to complete the small embedded generation application form on the SA Power Networks website. SA Power Networks has limits on the size of inverter energy systems connecting to their distribution network - eg from a solar PV or battery system, to protect the electricity grid and make sure it operates safely and reliably. For a single-phase connection, the maximum size an inverter can be is 5 kilovolt-amps (kVA). In some cases more generation may be permitted if exporting to the grid is limited - contact SA Power Networks for more information. For a three-phase connection, the maximum size the inverter can be is 30 kVA, which must be balanced across the phases. SA Power Networks' Service and installation rules manual explains the requirements for connecting an electrical installation to the distribution network. You'll also need an import/export meter. If you don't have one, your installer needs to speak to your chosen energy retailer to get one installed. Your new import/export meter will be a smart meter. For a list of retailers operating in South Australia and to get the best electricity deal for your needs, visit the Australian Government’s Energy Made Easy comparison website. For more information about connecting solar PV systems to the grid, contact SA Power Networks on 1300 665 913 or seg@sapowernetworks.com.au and see the SA Power Networks guide to installing a solar PV system. When you purchase an eligible solar PV system, the cost of the system is subsidised by the Australian government through small-scale technology certificates (STCs), as part of the Small-scale Renewable Energy Scheme. Each STC represents the amount of electricity the solar PV system generates over its lifetime to offset what your property would otherwise draw from the main electricity grid. The more electricity your solar PV system is capable of producing, the more STCs you will get. 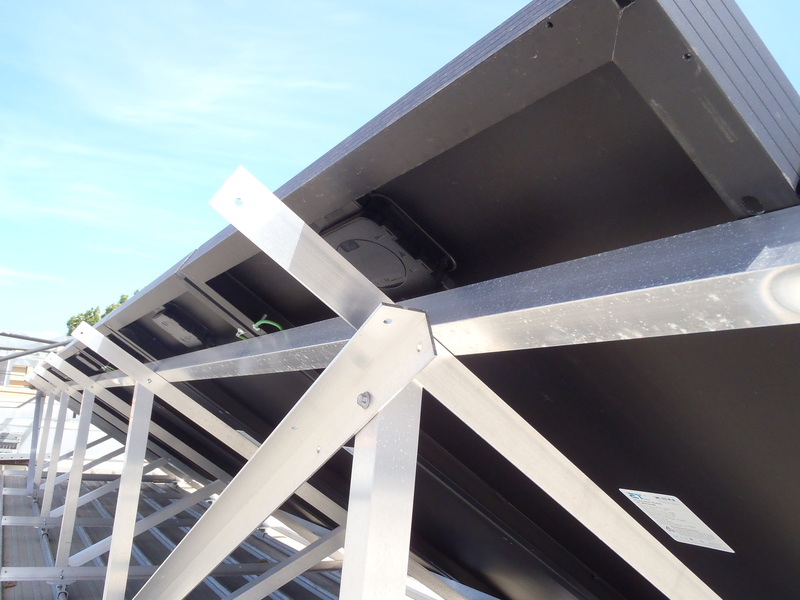 Trading your STCs offsets the cost of your solar PV system. The most common way of claiming STCs is to assign them to your installer or retailer, who will give you a point-of-sale discount on your system in return. It's a bit like a rebate, except you get an immediate discount instead of paying a larger amount and then needing to claim money back. Your electricity retailer may offer you a feed-in tariff for any excess electricity your system generates and exports to the electricity grid. See solar feed-in payments for more information about what you may be eligible for, or contact your energy retailer for more information. If you have an existing solar PV system and want to install a battery, speak to your retailer about how adding a battery may affect any feed-in tariff you currently receive. Your solar PV system, battery and most installations are covered by automatic consumer guarantees. The system should operate and perform as described. A warranty offered by the supplier is separate and doesn't replace the standard consumer guarantee. You can also visit the Consumer and Business Services' Make a consumer complaint page for more advice. Ensure that all of the system's cables are secured and properly enclosed to protect them from mechanical and environmental damage. Unprotected cables (for example, laying loosely across your roof) could easily become damaged and present a safety risk. normal electricity supply main switch. a sign explaining the type of battery installed. If there is no shutdown procedure displayed, or you do not understand the instructions, do not operate any of the switches until your installer has explained their use to you. Ask your installer to show you the location of all the relevant switches and labels. 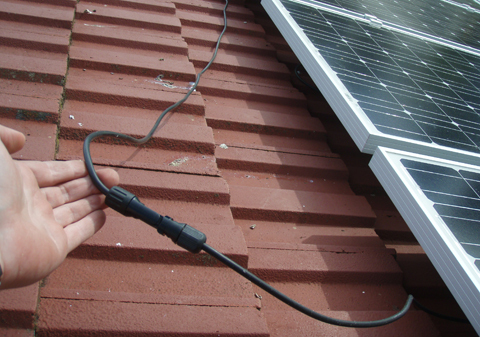 Solar PV systems and batteries must be installed by a licensed electrician, who should give you an electronic certificate of compliance (eCoC) within 30 days of the system being connected. If you do not receive an eCoC, it could jeopardise your insurance if an electrical-related incident subsequently causes fire or damage to the property. See using licensed tradespeople for more information. people at your property or working on the electricity distribution network are kept safe. Your installer or a licensed electrician should service your battery storage system every 12 months. If the electricity consumption at your property changes significantly without an obvious reason (for example, using a new appliance or additional people living in the home), check with your installer that the system is working properly.